Little Miss Muffet, who is almost three, has a sassy personality and precocious vocabulary to match. I share a lot of her profound, bizarre, or just plain funny statements on Facebook, and I also save them all in a Google Document. Here are some of the highlights from the past month or so. Sometimes I make a special day a long day by being naughty. This kind of serious self-reflection is unusual for her, but no one can argue that she isn't right. We've had some very long days lately. Get a baby, mush her up, and put her in a mama. This was after I explained how apple seeds grow more apples and pumpkin seeds grow more pumpkins. She is very concerned lately about babies growing inside of mommies, despite the fact that we are not currently growing a baby. The other day, she shoved a baby doll up her shirt, then pulled it out and said, "He's being born head first." I love you, little sister, my dear little blue eyes. She is generally sweet to Little Bo Peep, and I think "my dear little blue eyes" is an adorable nickname. This was, of course, the Mass in the extraordinary form, and she was the only person making any noise at all at this moment. Later, Bo Peep, also made an impression when she saw another blonde-haired blue-eyed baby and suddenly flung herself across my lap screaming, "Babyyyyyyyy!" I think she thought it was her reflection. When I grow up to be a Mama, I will teach the big kids. At night. And I will leave my baby alone. She doesn't actually seem to mind when I leave to teach on Monday nights, nor is she left anything even close to alone, but I can see she has big plans for her future. She often talks about what she will do when she is a Mama, and it typically involves typing on computers and writing with pens. Mama! All Saints Day is coming! This is only funny because she shouted it out while we were walking with the stroller after several moments of silence. Later the same day, she also randomly called out, "John the 23rd! John Paul the 2nd!" while eating her lunch. Santa Claus is not real, Mama. I had to be told at age 10 that Santa does not exist, so naturally I have no idea how she arrived at this conclusion. When I expressed my unwavering belief in Santa, however, she just looked at me like I was a complete idiot. I predicted she would be hard to sell on this idea. I just hope she doesn't ruin it for her sister as the years go by. For more Quick Takes, check out the link-up at This Ain't the Lyceum. Minli's family lives in the valley of Fruitless Mountain, where they are very poor and must scrounge daily to have enough to eat. Inspired by stories her father has told and aided by such fantastical creatures as a talking fish and a dragon who can't fly, Minli sets off to find the Man of the Moon. She believes that when she finds him, he will be able to tell her how to bring about her family's fortune. In the meantime, Minli's mother, who has previously been very discontent and displeased with her husband's storytelling, comes to appreciate the treasure she has in a daughter like Minli while waiting for her safe return. This attractively designed book combines a fairy tale quest with retellings of traditional Chinese folk tales to create a new story about storytelling, family, and true happiness. The folk tales are told by different characters Minli meets on her journey, and each tale is given a context that makes the telling rich and relevant. 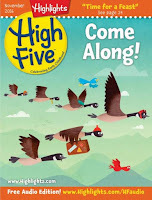 Young readers can begin to see the relationship between cultural experiences and the stories told in a culture, and because characters from the tales come to life on Minli's quest, they become much more real to the reader than they might if the tales were simply read in isolation. 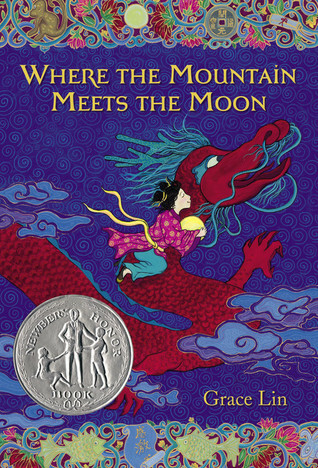 Illustrations in Lin's signature style, known to most from the Ling and Ting books, also complement the text nicely and provide visual context for Minli's journey. The writing in this book is mostly very pleasing. 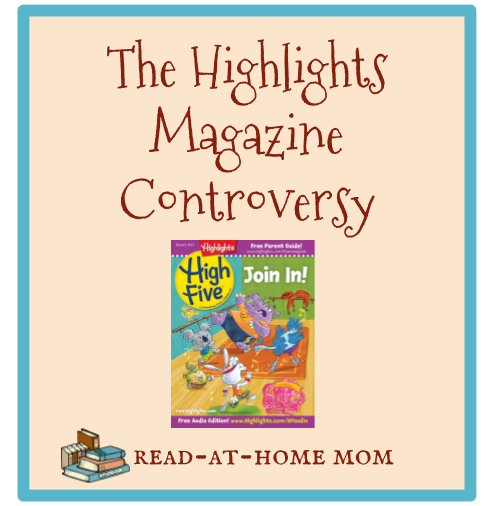 The story moves quickly, and the text would make a strong family read-aloud. There are a few too many similes in the book for my taste, and sometimes the tone takes on a contemporary flair that doesn't match what I expect to hear in a fairy tale. 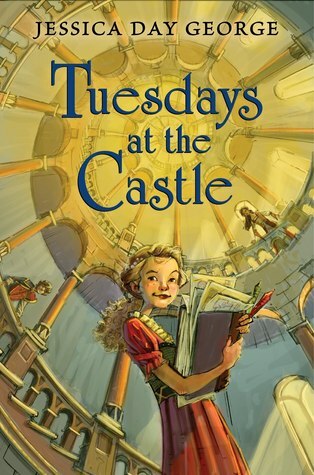 Still, the story is compelling and it is a perfect gentle fantasy for kids on the younger end of the middle grade spectrum. I look forward to reading the companion titles, Starry River of the Sky and When the Sea Turned to Silver. Library Haul: Story Time Contenders, Fall Favorites, and More! 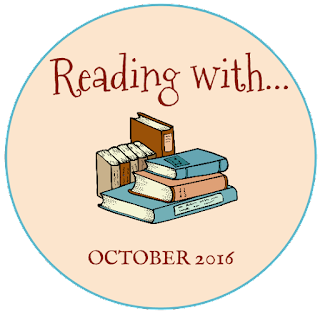 Today I'm linking up with A Gentle Mother, who has a new weekly Library Haul feature! 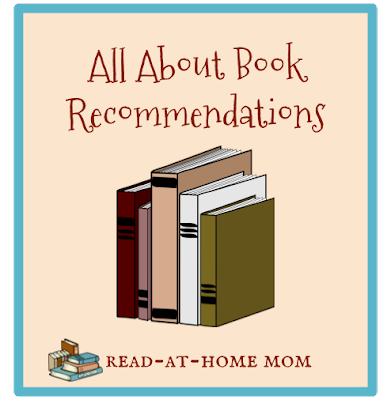 We typically visit the library every three weeks and check out a ton of books. Here's what came home in my library bag(s) this past weekend. These three titles were chosen specifically because of the girls' current interests. 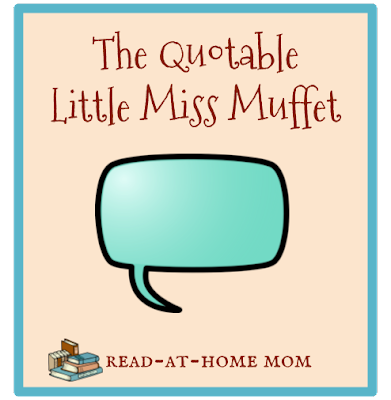 Miss Muffet has been eating apples for snack nearly every day, so What's an Apple? seemed like the perfect book for her. I sought out Day and Night specifically to address her questions about the sun and the moon, and how it can be daytime here and nighttime on the other side of the world. I didn't realize until I browsed the new book shelf that there was an updated version of Baby Faces, but I knew right away that it would be a hit with Bo Peep, since she is such a big fan of an older version that we bought at a used bookstore. I'll be starting a weekly story time at a local church in November, and I don't own all of my favorite story time books, so I needed to borrow a few. 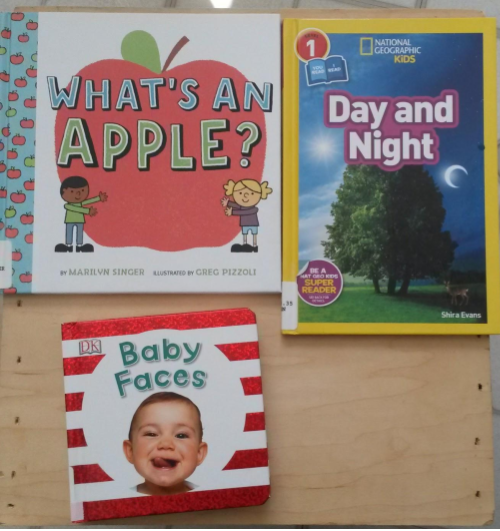 I'm not sure yet which ones I'll be reading for the first session, but I like to have lots of favorites on hand when I start doing story time for a new audience. 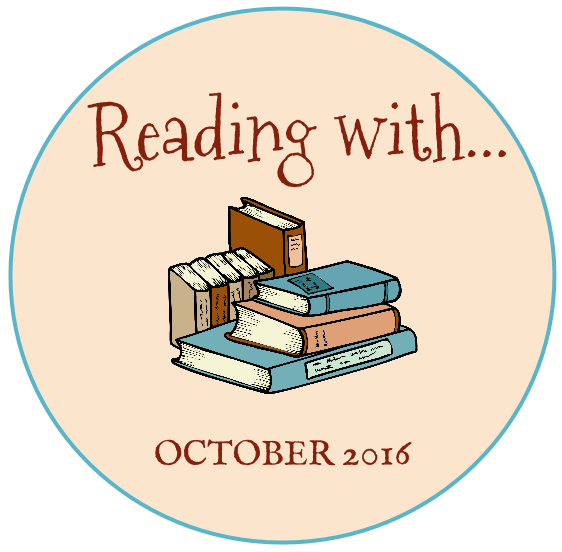 I tracked down these Fall titles, most of which I've read before, knowing they would be age-appropriate titles for Miss Muffet this year. The non-fiction title is to help explain Halloween in simple terms for Miss Muffet. 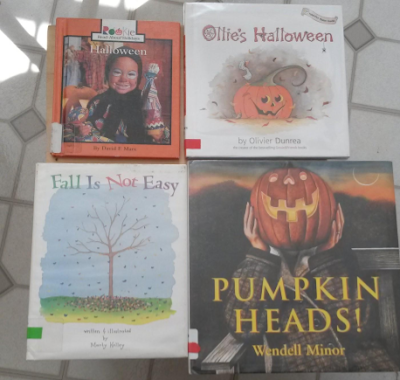 I chose Ollie's Halloween because we love the Gossie series. 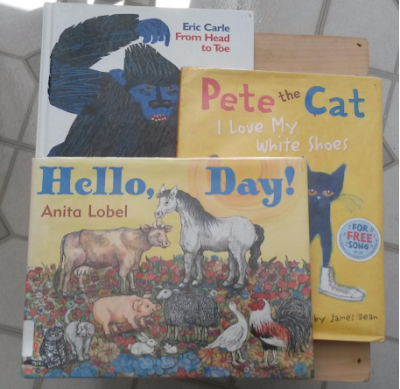 It has already proven to be a good choice, as while we were still in the library, Miss Muffet plopped herself down on the floor, flipped the book open, and called out, "This has Ollie and Gossie!" 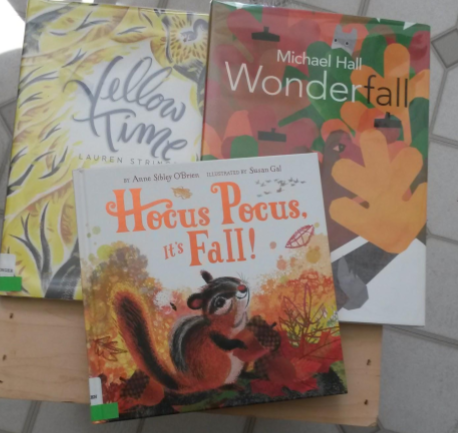 I'm considering Fall is Not Easy for one of my upcoming story times, but it also ties in to Miss Muffet's fascination with the changing leaves. And I got Pumpkin Heads thinking that Bo Peep might like it too, since she loves faces. 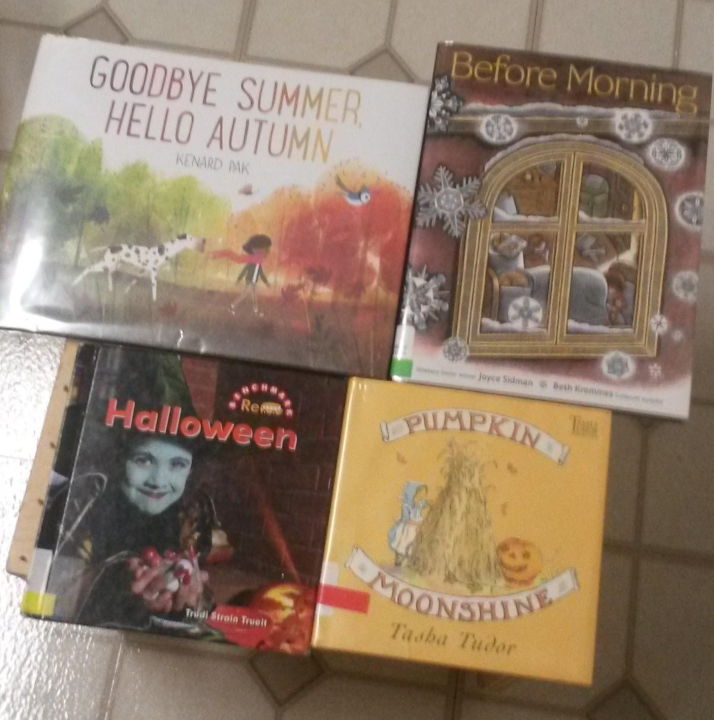 These are all new Fall picture books I read about on various blogs and decided to try. 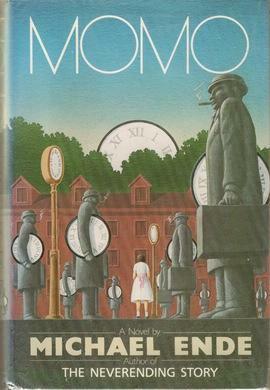 I have liked Michael Hall's book in the past, and I really enjoy Susan Gal's illustrations, though not always the texts that accompany them. I can't recall how I found out about Yellow Time, but at first glance, I don't think I'll be too impressed,unfortunately. This was my second time placing Goodbye Summer, Hello Autumn on hold. Last time, it came in after we had just been to the library so it wound up getting sent back. This time around, I timed my hold-placing better, and it came in plenty of time. I've always liked Tasha Tudor, but have never read this Halloween book, so I'm excited for that, and I also love that the non-fiction title is a rebus, as I've been wanting to try those with Miss Muffet. I've been hearing a lot of buzz surrounding Before Morning, too, and I'm looking forward to seeing how it compares to Blue on Blue, also illustrated by Krommes. 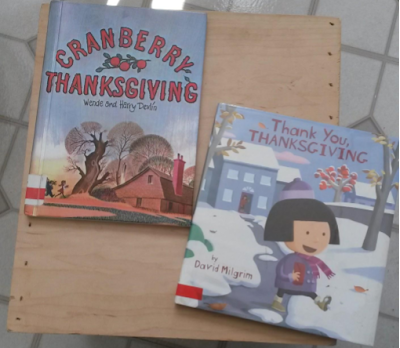 I know it's a bit early for Thanksgiving books, but I knew they would probably be checked out by the time we go back to the library again in three weeks, and it's better to have them early than not at all. Thank You, Thanksgiving might make an appearance in an upcoming story time. I chose Cranberry Thanksgiving for nostalgia's sake. I loved the Cranberry series as a kid. Finally, this is my to-read-on-my-own pile. Since my visit to the National Book Festival, I've been itching to try something by Patrick Ness, so I went with the title that sounded most interesting to me. I also really wanted to read Some Writer! after seeing Melissa Sweet's presentation. 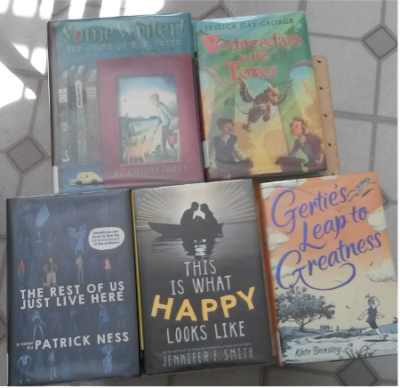 Wednesdays in the Tower and This is What Happy Looks Like have both been on my to-read list for a while, so I made sure to put them on hold, then I grabbed Gertie's Leap to Greatness from the new book shelf, since the reviews have been mixed and I'm curious. And that's my library haul! What have you checked out recently? This week, Top Ten Tuesday's focus is on names, and specifically on characters for whom one might like to name a child, pet, or car. One of my children was named in part after a Madeleine L'Engle character, but aside from that one name, there aren't many I would want to use for real people (or animals). 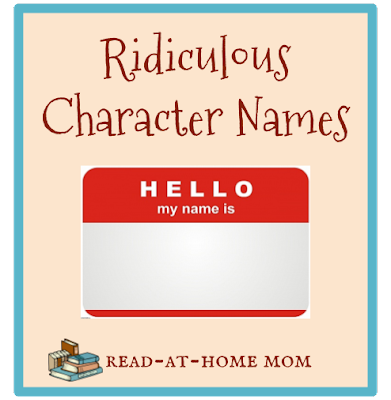 In fact, one of my major reading pet peeves is quirky character names. 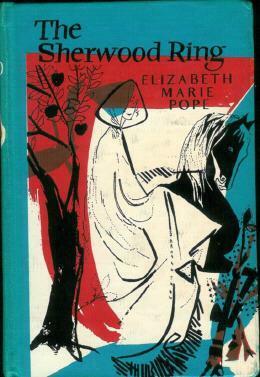 So that's what my post is about today - the names in children's literature that annoy me. All of these names, except Dickory Dock, are used in realistic novels, not fantasy stories. In fantasy, names like Willy Wonka, Severus Snape, Bastian Balthazar Bux, and Bilbo Baggins work fine because the stories are set in their own worlds, and, generally, the names have significance within those worlds. But in realistic stories, it just does not ring true to encounter so many unusual names. It's worse yet when the characters in the story behave as though being named something like Sweet William or Skeezy Tookis is nothing out of the ordinary at all. I can only guess that authors choose these names because they are trying to make their characters stand out. And I can only argue that this is decidedly unnecessary. What makes a character unique and interesting is not his or her name. 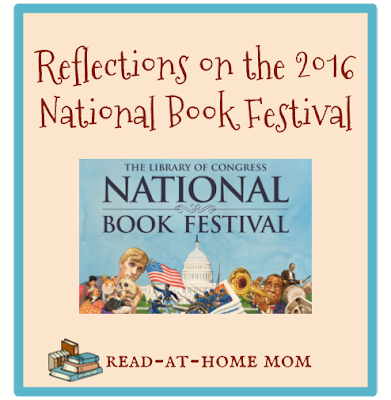 It is the character's voice, personality, quirks, and worldview that engage me as a reader. 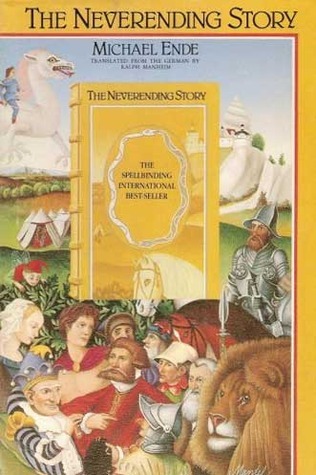 Some of the most memorable and beloved characters in children's literature have plain, ordinary names: Meg Murry, Claudia Kincaid, Bud Caldwell, Katie John, Nancy Drew, Billy Miller, Alice McKinley, Henry Huggins, etc. We remember their names because of the interesting things they thought, said, and did in their stories. Those things would certainly not be any more exciting if the characters had audacious names. If anything, I might take the characters less seriously and find their thoughts and words less sincere if they had names that sounded silly and served no purpose beyond quirkiness. 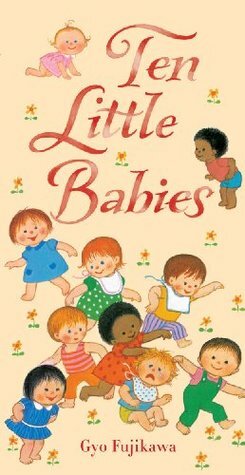 I would like to see more authors use the names of real kids in their books. 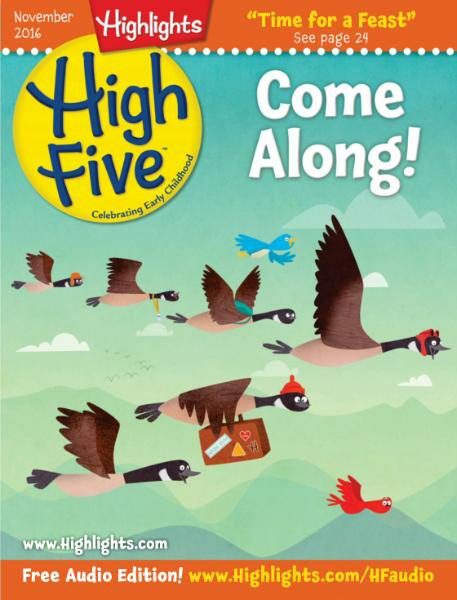 That way, readers can get to know the characters for who they are, not what they're called, and there is a chance that every now and then a child will get to fall in love with a character who shares his or her name.